Øistein is one of Norway’s most experienced live performers for kids. Throughout the year he performs his unique show – funny, quirky, imaginative and highly interactive – to large audiences around Norway, with annual tours to Singapore, India, Korea and other countries where his TV shows are broadcast. 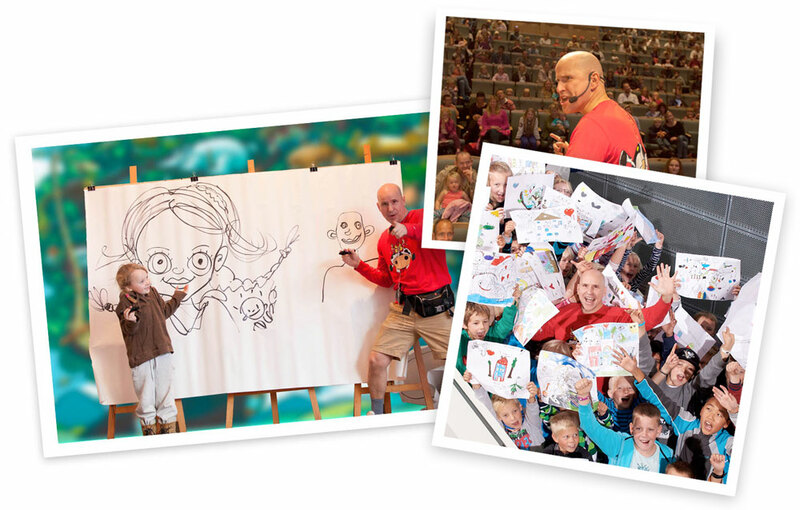 Kids and parents will often queue for hours afterwards to get an autograph, a selfie and a personalised drawing or caricature after the show. Øistein is not only for kids: creativity is widely accepted as one of the most important developmental tools to enliven entrepreneurial businesses, and Øistein can often be seen at corporate away-days, conferences and office parties – bringing a slice of anarchic and artistic fun to personal development. Are you interested in seeing Øistein perform live in your town, your event, your company or your own country?